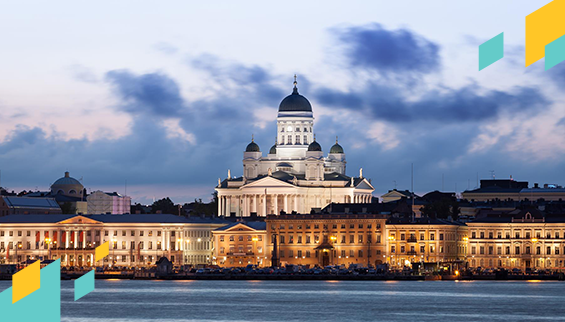 There are more investment opportunities from Finland as EGE Finance has just launched on the marketplace!! You can now invest in its short-term loans and earn net annual returns of 9 to 10%. EGE Finance is part of BB Finance Group which was founded in Estonia in 2006. It is a technology-driven consumer credit company and the team consists of 70 professionals worldwide. The company provides short-term loans to clients mainly in Estonia, Finland, Czech Republic and Georgia with its headquarters located in Tallinn. “BB Finance Group has earned the trust of many institutional and private investors. However, we are always interested to further diversify our funding sources and let new investors earn returns on our good results. Mintos has also shown real professionalism in the lead up to listing our loans on their marketplace. We are always glad to find opportunities to work with such people and companies,” said Urmo Kokmann, the COO and co-founder of BBFG. On Mintos, the average Finland-issued loan from EGE is around EUR 270 with a repayment period of up to 93 days. You can expect a net annual return of 9 to 10%. All loans from EGE will come with a buyback guarantee and will be repurchased if a loan is delinquent for 60 days or more. Furthermore, it will retain 5% of each loan placed on Mintos on its balance sheet to keep its skin in the game. BB Finance Group has issued around 650 000 loans worth EUR 135 million. Since its inception, the company has attracted 430 000 registered clients. Its net portfolio amounts to EUR 13.8 million. In 2017, the company issued EUR 30 million worth of loans, 82% of which were to returning customers. Since 2014 the company has continuously invested in technology. As a result, it has delivered a portfolio growth of 47% per year on average. BB Finance Group develops and monitors its own credit scoring system, decision-trees and also uses external credit databases. Over 80% of its clients last year were returning customers who had already repaid one or more previous loans and shown a reliable repayment discipline. Non-performing loans contribute to 4% of the company’s loan portfolio in Finland. Take advantage of this great opportunity to invest in EGE Finance’s short-term loans listed in EUR. If you use Auto Invest make sure to update your settings so you don’t miss out!